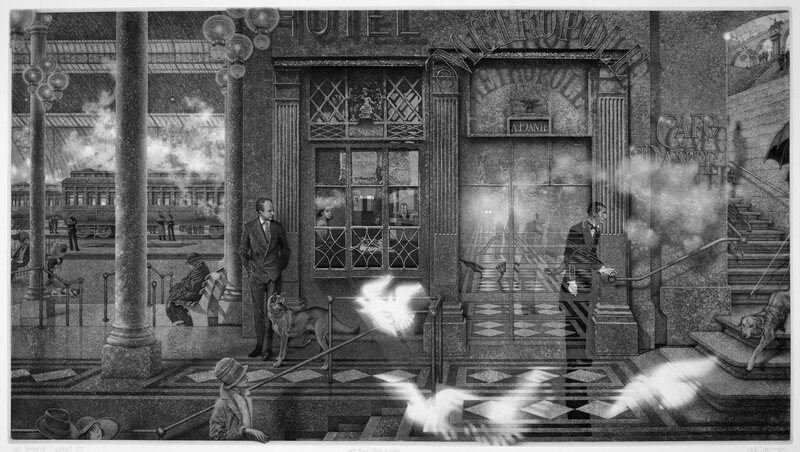 Peter Milton, Interiors VII: The Train from Munich (1991), resist-ground etching and engraving, image 51 x 91 cm. Edition of 175. Printed by Robert Townsend, Georgetown, MA. Image courtesy the artist.